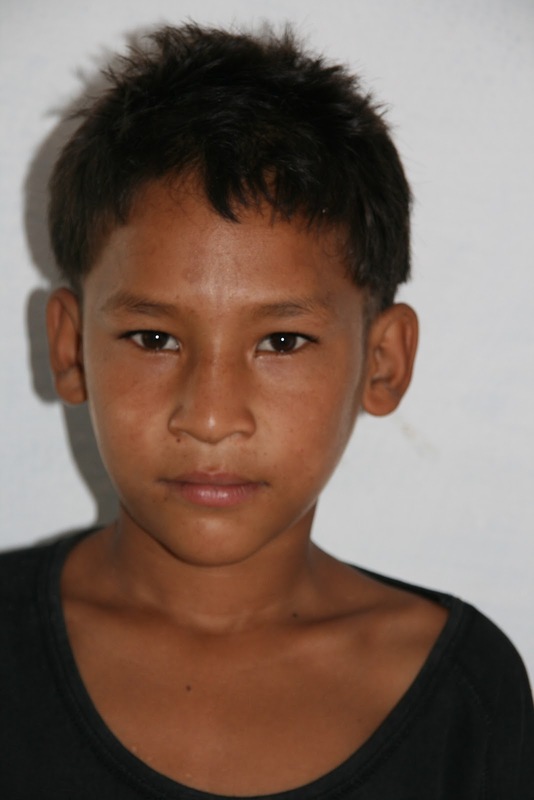 Sanjib Nepali (M - 11 yrs) His father passed away three years back. His mother is sick and helps in the church the whole day. In exchange of her services she is given some rice which she cooks for dinner. Sanjib has his other two meals of the day at Koseli for there is no other source unless he takes to the streets. 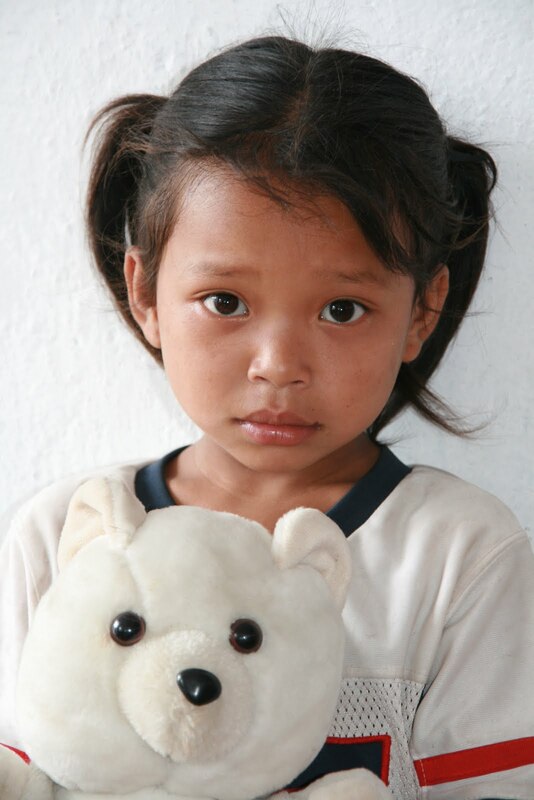 Sita (F - 13 yrs) & Martha B.K (F - 4 yrs) They belong to the marginalized community of Nepal. their father has throat disease. He is unable to eat / talk and bleeds while doing so. They don’t the name of the disease. He has gone back to the village leaving his 5 children in the valley and his wife to raise them. 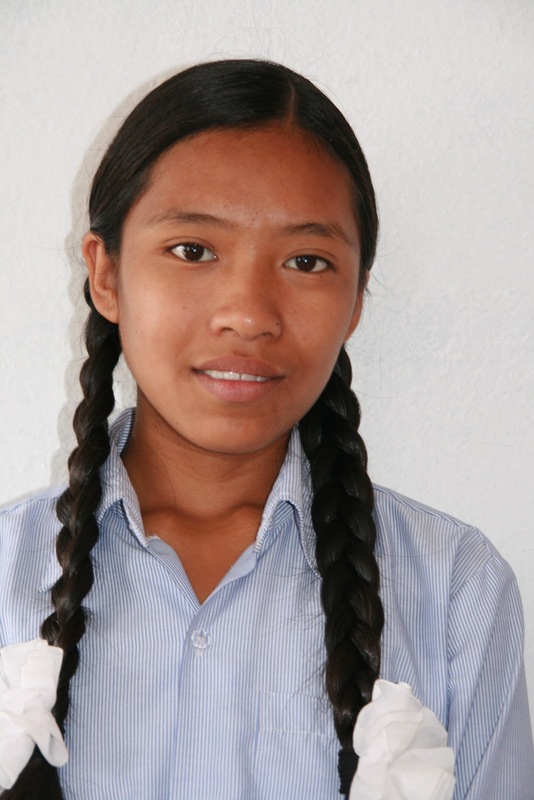 Sita, is the oldest child and hasn’t attended school much as she stayed back at home to look after the younger siblings while their mother did odd jobs to earn money. This is the first time she is attending school regularly along with her younger sister Martha. With a twinkle, she says, she wants to be a teacher when she grows up. Ikesh Tamang (M - 5 yrs) & Nikhil (M - 4 yrs):Tired of the beatings of an alcoholic father and poverty, Ikesh’s 3 older brothers chose to live and beg on the streets. 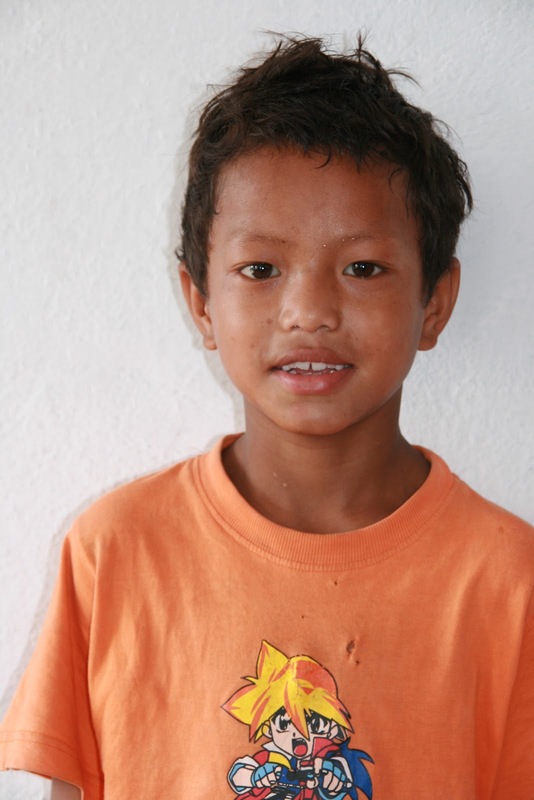 Ikesh too would have soon followed them if his mother hadn’t brought him to Koseli. Nikhil was asked to join the school in the following year. Koseli is still looking for the elder brothers to bring them to school. 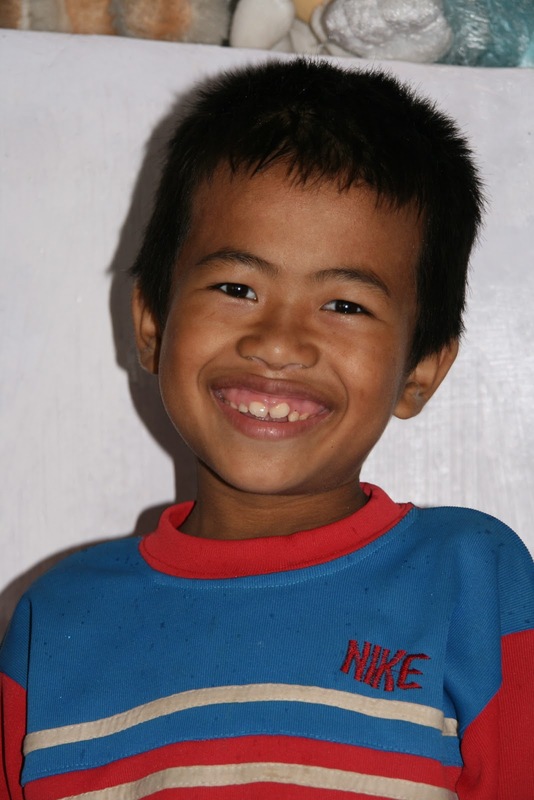 Arjun Tamang (M - 7 yrs), Sita Tamang (F - 8 yrs) Sita is visibly a happier child of the two siblings. Looking at them, it is difficult to imagine that due to poverty, the mother could not raise her all five kids and so has donated 3 of their older siblings to a monastery. 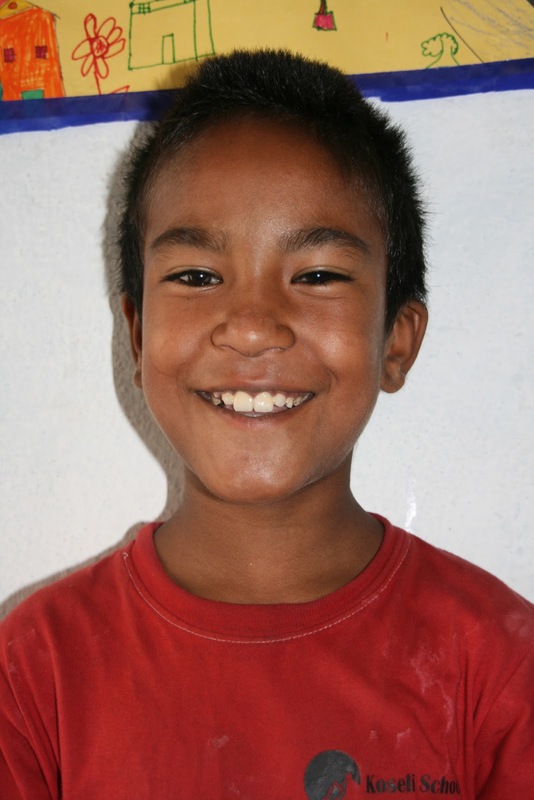 Krishna Karki (M - 12 yrs) An orphan, he had never been to school earlier. Krishna is being supported by his grand father who is quite old. He used to lock up Krishna in the room from the fear that the kid would get lost, while he went to work. The grand father now feels that he can die peacefully as his grandson’s future is secure. Krishna is a lovely child with an appetite for studies. He talks like an adult for he has never been with kids much before coming to school. 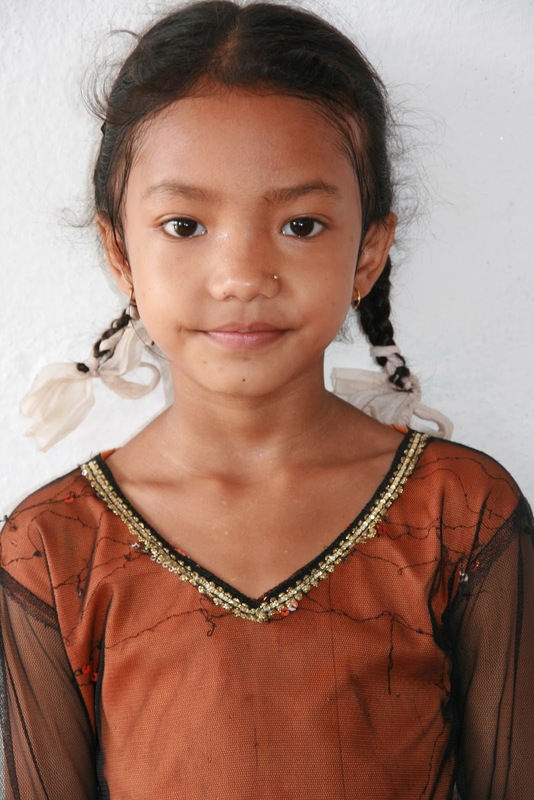 Arjina Dahal (F - 7 yrs) Arjina had not been to school for 4-5 months because her mother wasn't able to pay her fees. Her mother did bead work but her earnings were meagre to support her daughter's education. Arjina was very happy from her first day at Koseli. She loves playing with dolls and dreams of being a doctor one day. 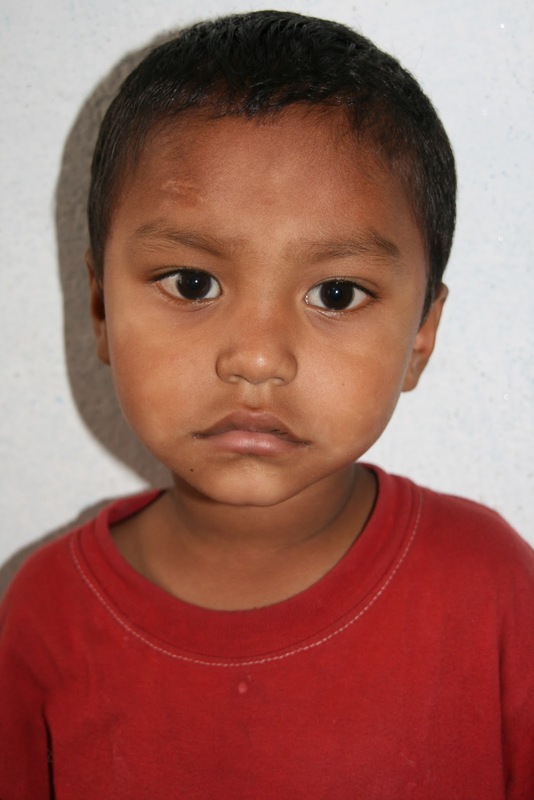 Arun Pariyar (M - 5 yrs) His mother suffered from second and third degree burns when she was pregnant with his younger brother. Even though she recovered (with the help of some philanthropic organization) her face and hands are severely disfigured. So, the child got his name “Jale” (meaning : burns). The first thing Koseli did was to give him a descent name. 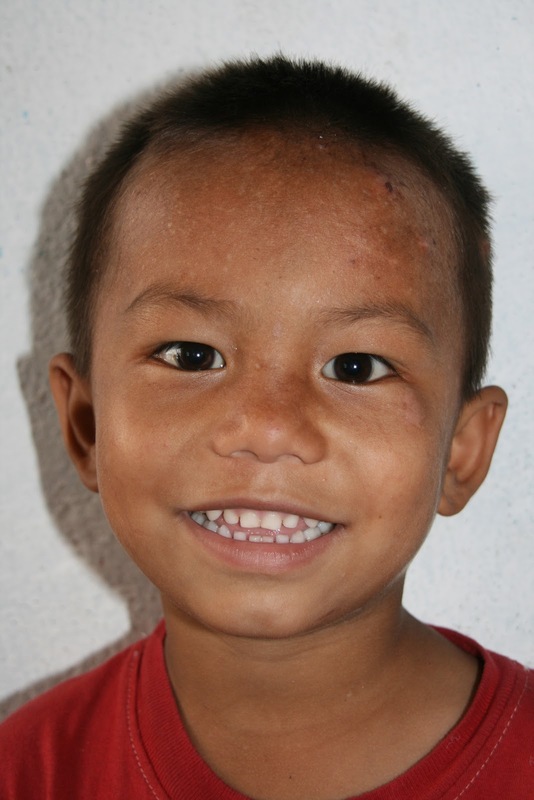 He is now well settled in school and loves colouring and playing on the slide. 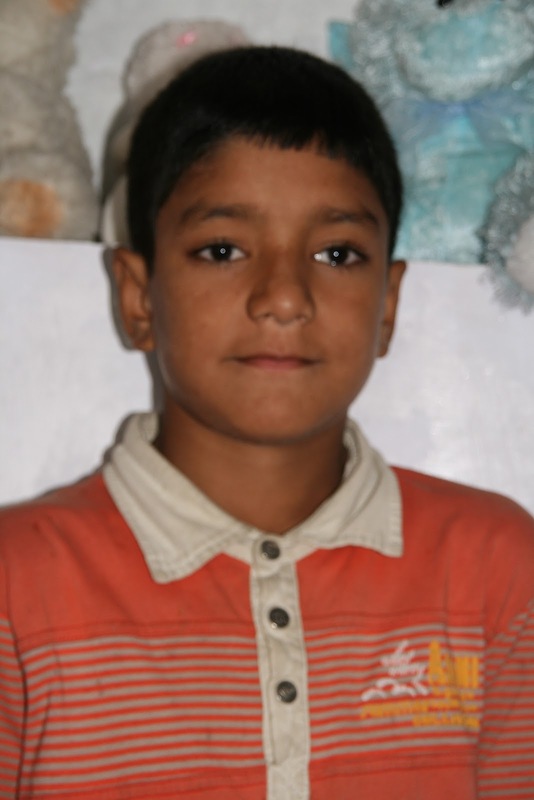 Anup Katwal (M - 9 yrs) a very intelligent boy, wants to move up the classes as soon as possible. So his entire focus is on doing his work and studying as much as possible. The mother does odd jobs at construction sites to bring up her only child. 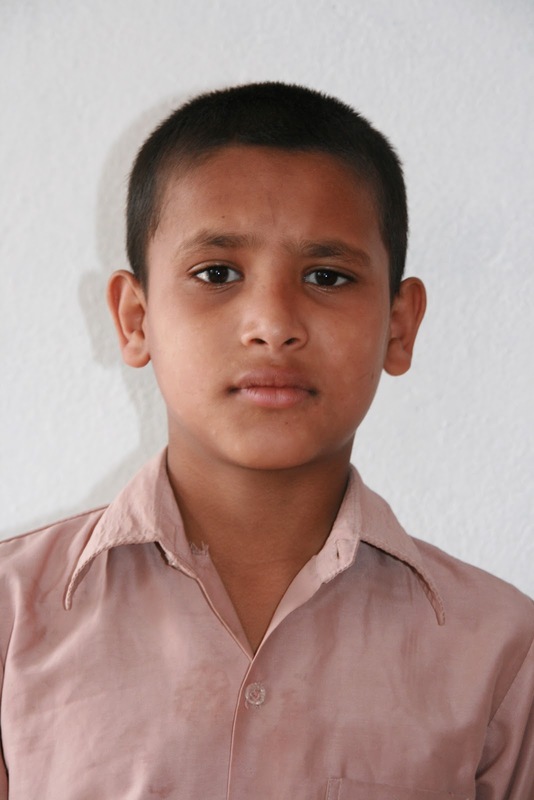 Ujjwal (M - 9 yrs) Their eldest sister gave up school when their father passed away. Survival was more important. She now works as a domestic help. In exchange of her services she is given food. Ujjwal would have been on the same path if he hadn’t found Koseli. He loves playing football. Hari Karki(M - 12 yrs), Santosh Karki (M - 13 yrs) Initially when they had joined Koseli, these kids would gamble right outside the gates as soon as the school finished. They were not into regular education untill the age of 10. Today they have evolved into shy teenage boys with dreams of making it big in life. Divya Lama (F - 11 yrs), Bicky Lama (M - 6 yrs) Divya is a great storyteller and you will know this when you hear her tell stories about her father, for they are all fabrications of her little mind. In reality the kids have not seen or heard from him in a long time. Their mother too has passed away. 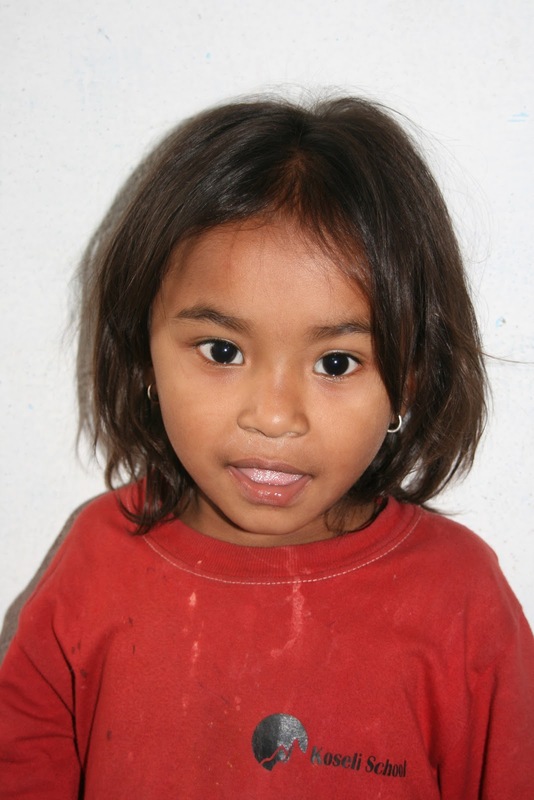 Jenisha Basnet (F - 9 yrs) She is a combination of poverty and illness. Her father has a rare heart condition and has been in the hospital for last one year. The mother takes turns to be with the father and with the children. She also does odd jobs to support her family. Jenisha loves Koseli because she loves playing with her friends. 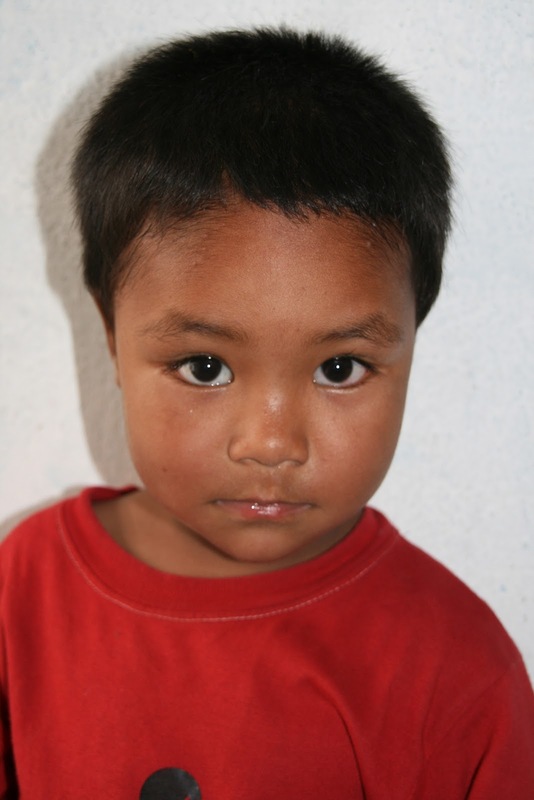 Krishna Tharu (M - 5 yrs) His father has gone away. His uncle is bringing him up. So far Krishna is a slow learner and shows no interest in studies. However he is too small to understand the importance of education. 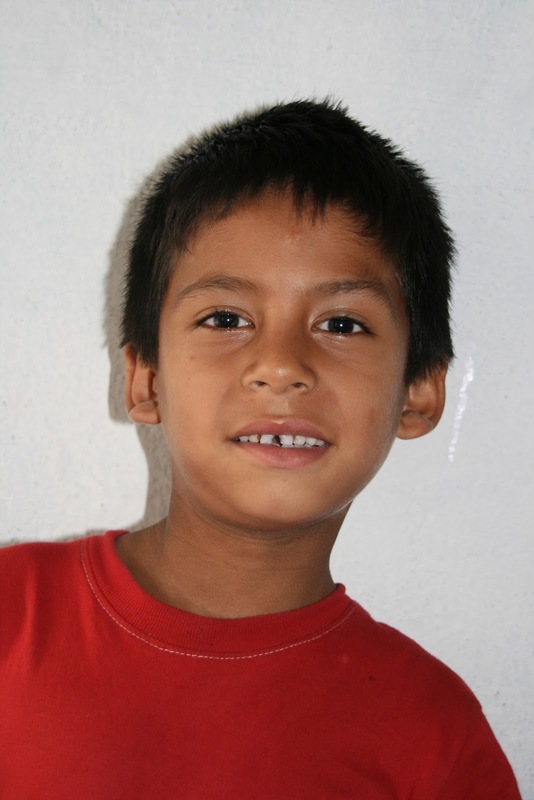 He loves playing and often falls asleep in the comfortable setting of his classroom. 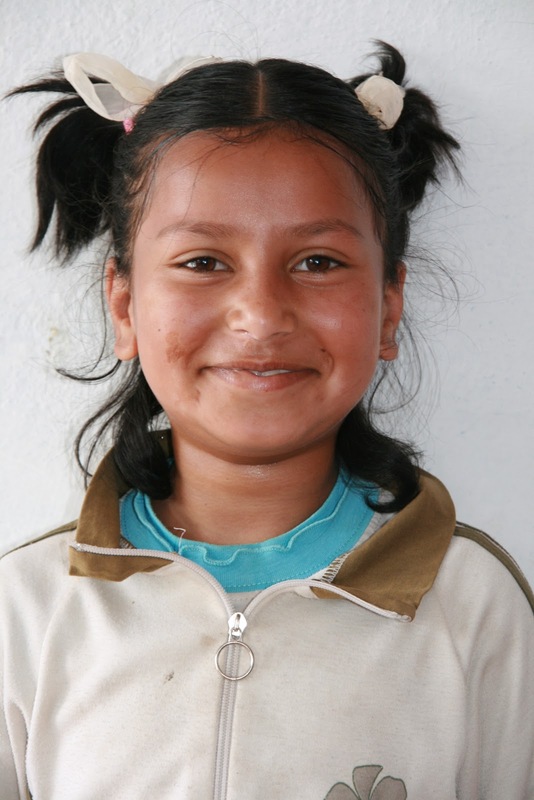 Kritika Karki (F - 5 yrs) She joined school a little after the academic session had begun, so she is always in a hurry to cover up her studies. She refuses to nap after lunch but insists on studying. The teacher finally has to give in. She loves to draw. Her alcoholic father visits her some time but instead of being a support he snatches away all the money from her mother. 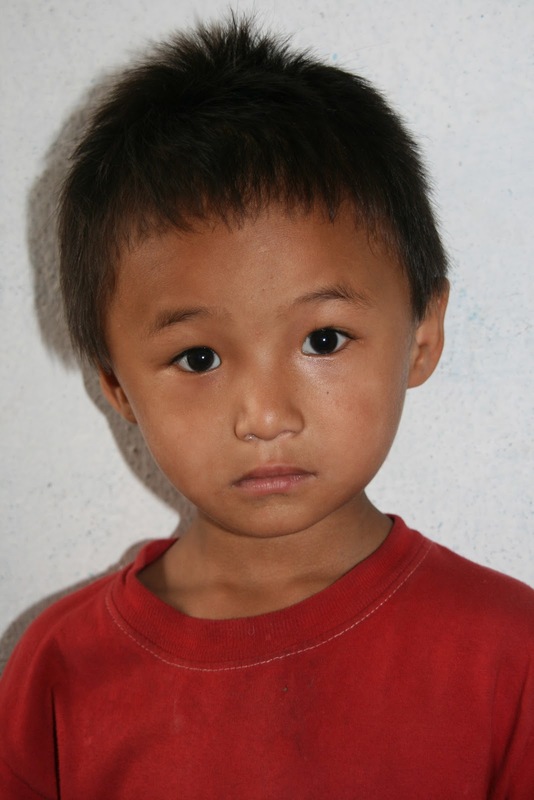 Kritika Limbu (F - 5 yrs) This little orphan kid dreams of being a pilot one day. 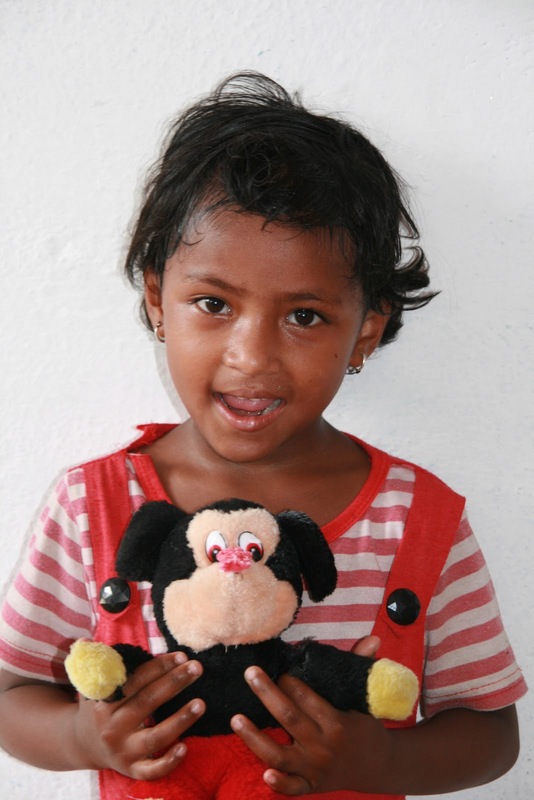 Her biological father handed over the new born Kritika to a lady in the slum to bring her up. He promised her money (Rs.6000) every month. However after the first month he never returned. All the people in the neighbourhood know Kritika’s story. The lady who has her own kids brought her up but has no money to pay for her education. 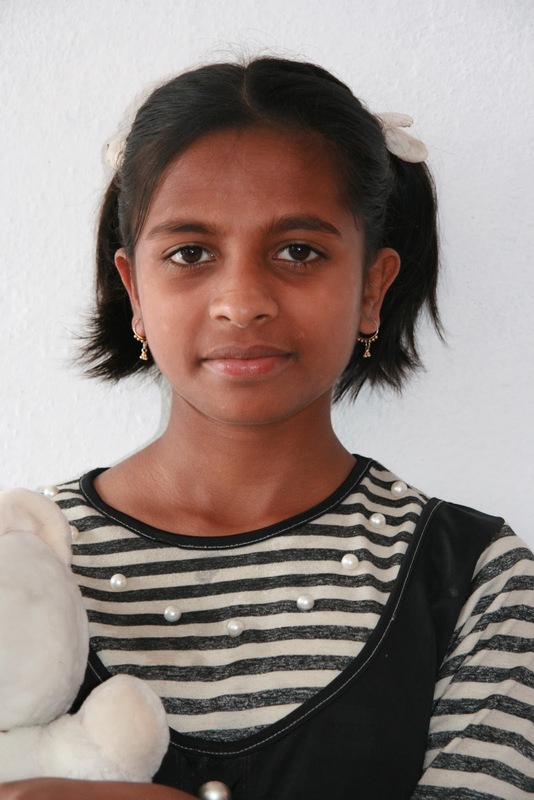 Kritika is academically very smart and loves to sing. The child is forever smiling. Laxmi Munal (F - 9 yrs) Both Laxmi and her younger brother went to the Mobile school in the slum. The school operates for 2 hours a day. 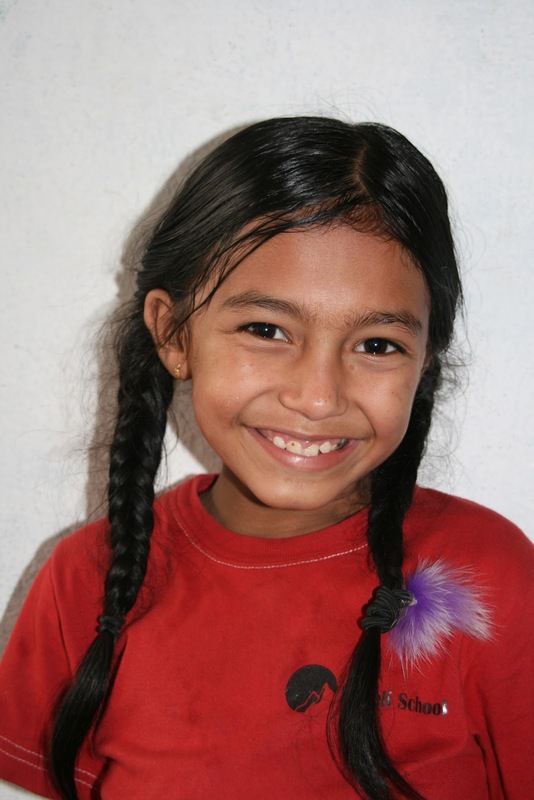 At the age of 9 years, Laxmi could hardly read and write. While we asked her mother (a single parent) to continue to bear the responsibility of her younger brother's education, we took Laxmi's. As it turns out Laxmi is good at academics and takes a lot of interest in her studies. 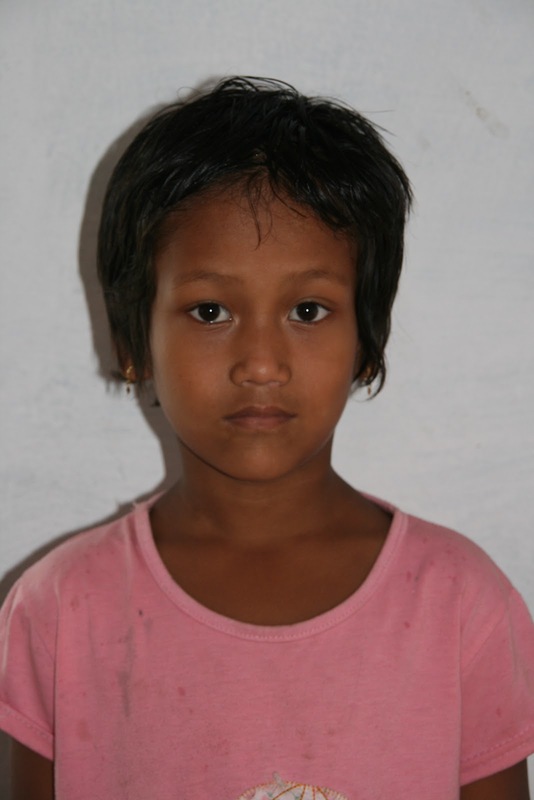 Pramila B.K (F - 9 yrs) Pramila wants to make up fast for her lost years. She insists on spending all her time in studying and moving up the class soon. Her mother left her and the father is deaf. She is being brought up by her aunt. Belonging to the marginalised community is an added burden on these young shoulders. Krishna (M - 14 yrs) & Pramila (F - 13 yrs) Their elder sister was married at 16. Their father is an alcoholic and they live where the pigs live.The mother had come for their younger sibling's admission while these two were not going to school. After all they have reached the right age to work. But we insisted on taking them instead of the younger child. Krishna had already taken to ways of the street and his own gang which is regularly involved in fights with other gangs. But his love for studies brings him to school everyday. The teacher's are still working on Pramila's basic reading writing skills, before she can be assigned a class. Pratima B.K. (F - 6 yrs) She is the youngest of the 5 siblings. Two years ago the father left for the middle east in search of a job and hasn't returned since or sent any money either. The mother washes dishes in a catering company and is paid on daily basis. 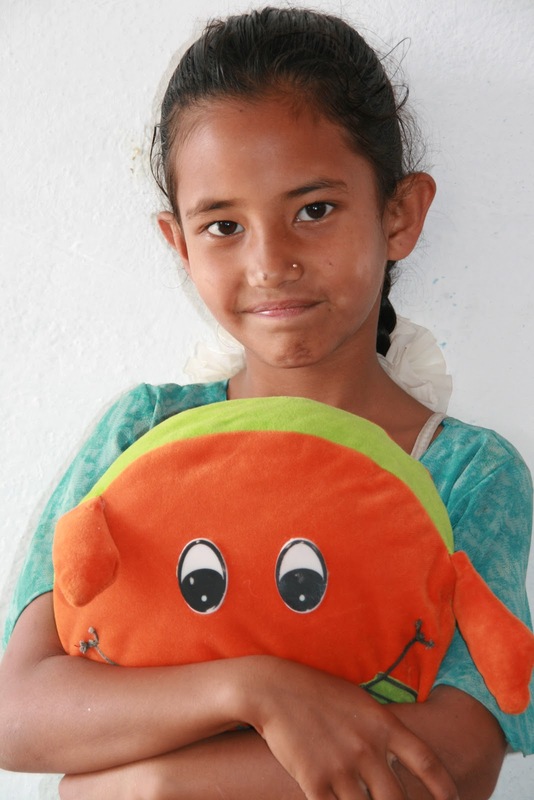 Pratima is a cheerful child, she went to the mobile slum school. She is good academically and wants to be a teacher when she grows up. Samjhana Lama (F - 10 yrs) Samjhana's parents are alcoholics. She is fortunate to have her granny's support. She now lives with her instead of her parents. She simply loves Koseli for her friends. Sanjay Lama (M - 8 yrs) After their father left, his mother who is a flower seller in front of a temple tried to support her 4 kids. Life was tough and his elder three brothers took to the streets of Kathmandu and are now living the lives of street kids. Sanjay weighed his options of going with his brothers or joining Koseli. Finally his desire to study brought him to Koseli. He is an intelligent child and takes keen interest in his academic work. 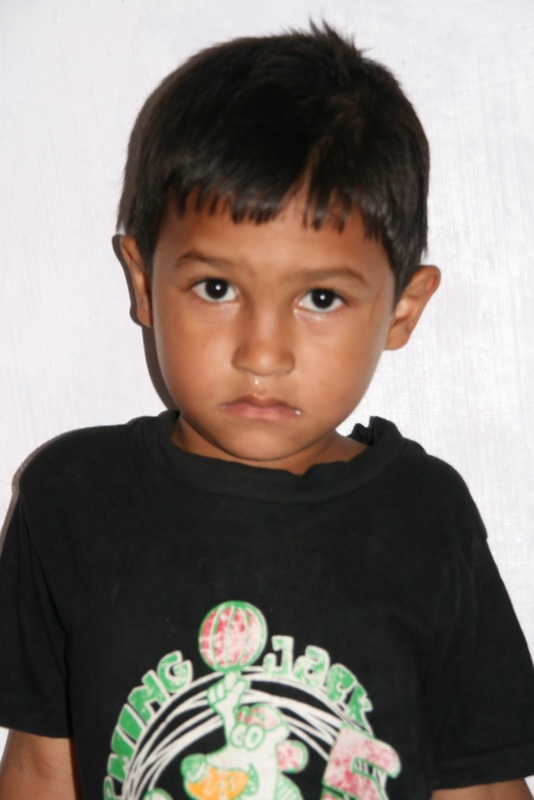 Abhishek Raut (M - 5 yrs) He was referred to us by a student of Koseli itself. When the refences come from the children they are from the heart. They ask their friends in desperate situations saying that “you will get food in school” and so these kids are given admission immediately. His alcoholic father is a menace to their family. Abhishek loves to sing and dance. 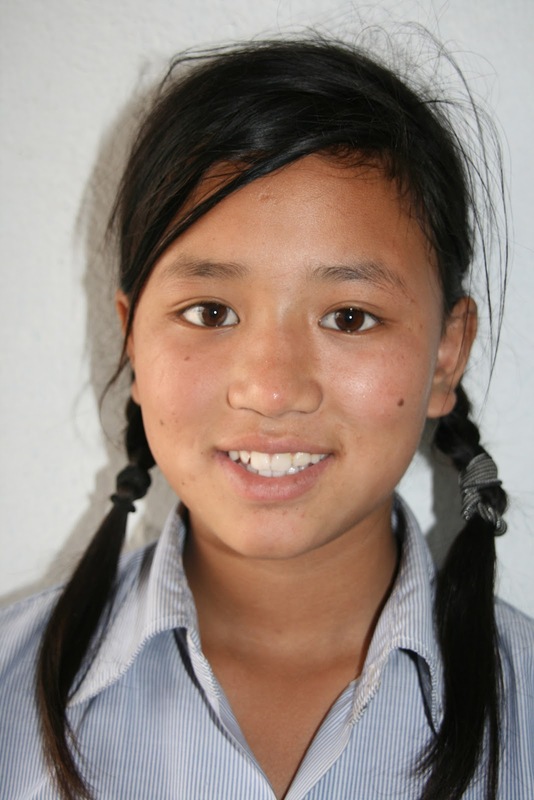 Arati Basnet (F - 9 yrs) After Arati’s father left, her mother also moved on with life leaving her daughter with her mother. Since then, the two of them never came back to have a look at their child. Arati now practically an orphan, has been living with her 80 year old grandmother. Her granny is an asthma patient and always worry as to what will happen to the child after she is gone. 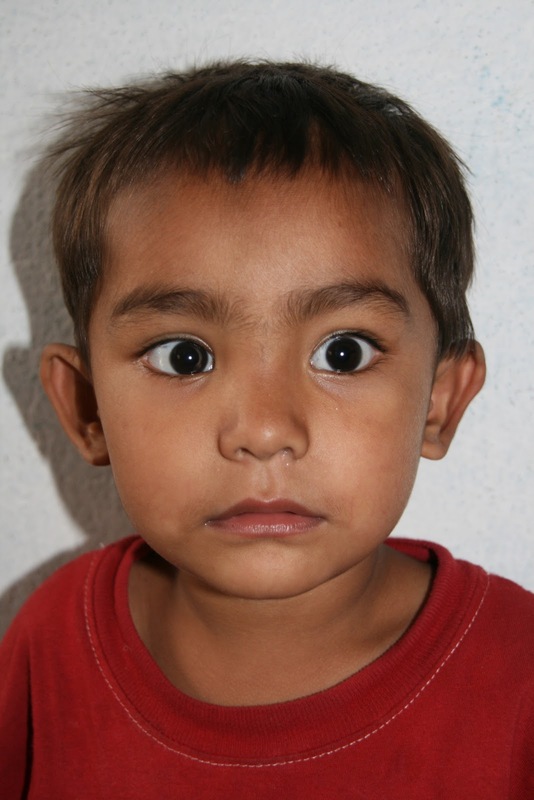 Sushma Pariyar (F - 4 yrs) Probably she would have better as an orphan. Both her parents are alcoholics. They have the worst shack in the slum. The mother has awareness as to where she is passing urine and where she is sleeping. It was impossible to ignore the innocent eyes of little Sushma when she was first brought to us. With such a disturbed background, Sushma will take a while to take to studies. Meanwhile she loves to draw and play with her friends. She is just happy to be away from her mother’s beatings. Dilmaya (F - 15 yrs), Prativa (F - 12 yrs), Pratiksha (F - 11 yrs) We spotted Dil Maya, while repairing the current building. She was one of the labourers. After her mother became invalid during an accident at the construction site, Dil Maya replaced her to help her father feed the family of 5. With a lot of convincing we have force fully taken the three girls in school. As luck would have it all three of them are good at studies. 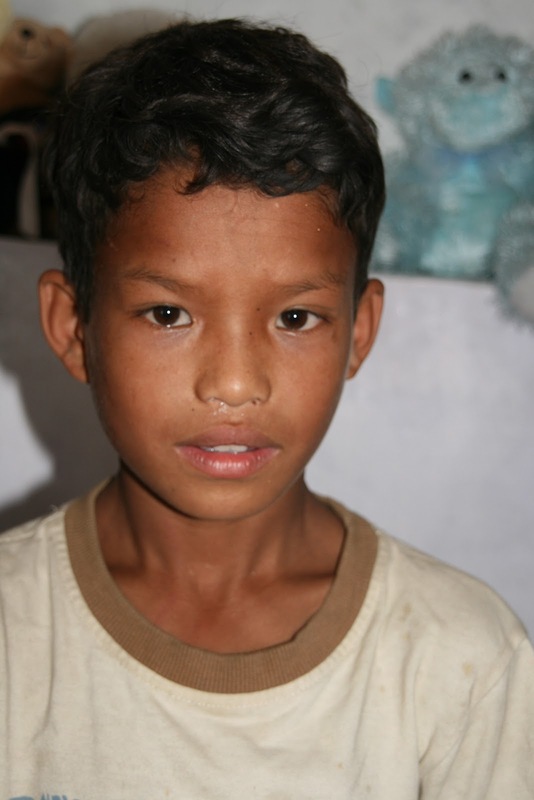 Mandip Tamang (M - 12 yrs), Sandip Tamang (M - 10 yrs) Mandip & Sandip have spent more time out of school. Both boys are over age for their class. Poverty forced them to migrate from the village to the streets of Kathmandu where they spent a year before joining Koseli. The kids like to sing and are very fascinated with the aeroplanes in the sky. Gaurav K.C (M - 9 yrs), Saurav K.C (M - 8 yrs) The brothers walk 7-8 km everyday to reach school. The siblings are a terror in school. They can be spotted hanging from the slides, doors and poles. The reason behind the long walk to school is regular & stomachful supply of food. Education has no meaning in their lives at least at this point in time. Saurav wants to join the police force and Gaurav wants to join the Nepal Army as adults. 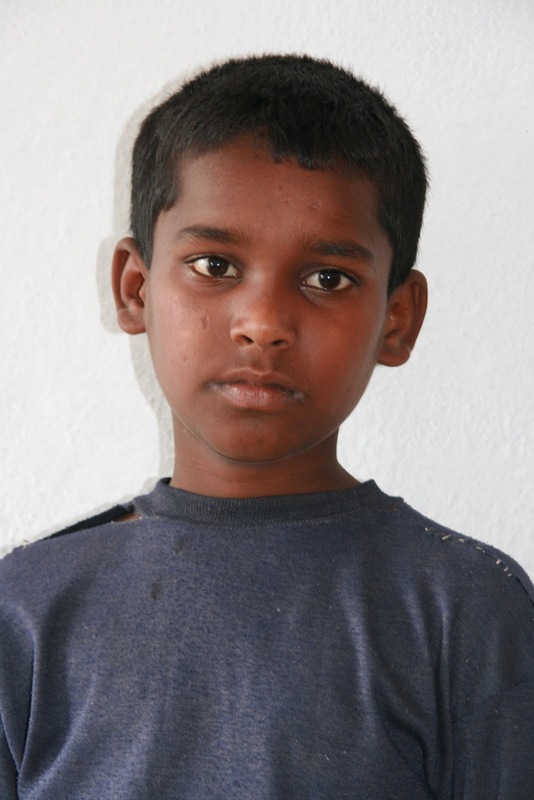 Ashish Bayalkoti (M - 14 yrs) Ashish has been brought up by his mother, who works as a domestic help. He is a very quiet child and talks only when he needs something. 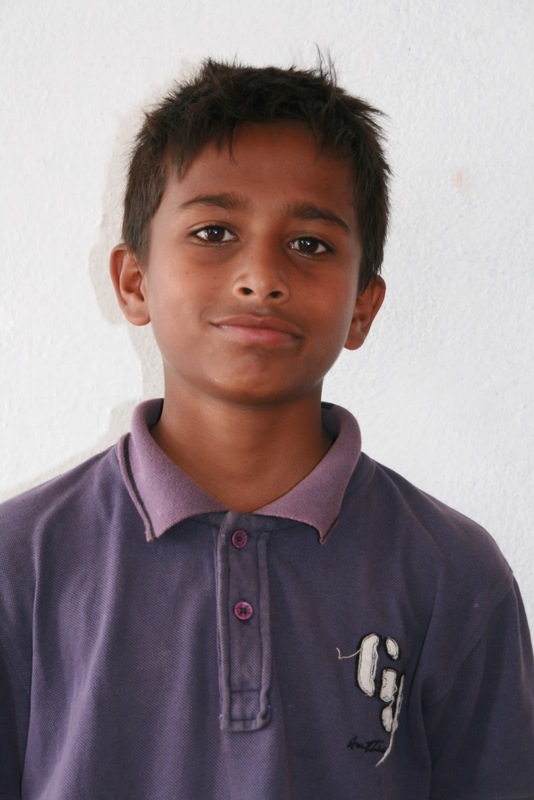 Though Ashish is overage for his class nevertheless he is academically a competent child. 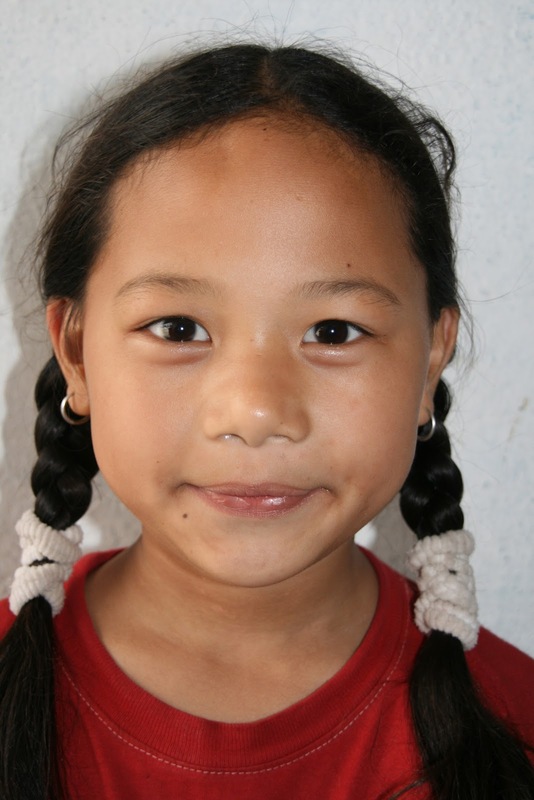 Jamuna Tamang (F - 5 yrs): Jamuna loves singing and dancing. She lives with her mother in the slum with no memories of her father. She wants to be a nurse when she grows up. Anita Karki (F - 8 yrs) Anita’s father does menial odd jobs at the construction sites. 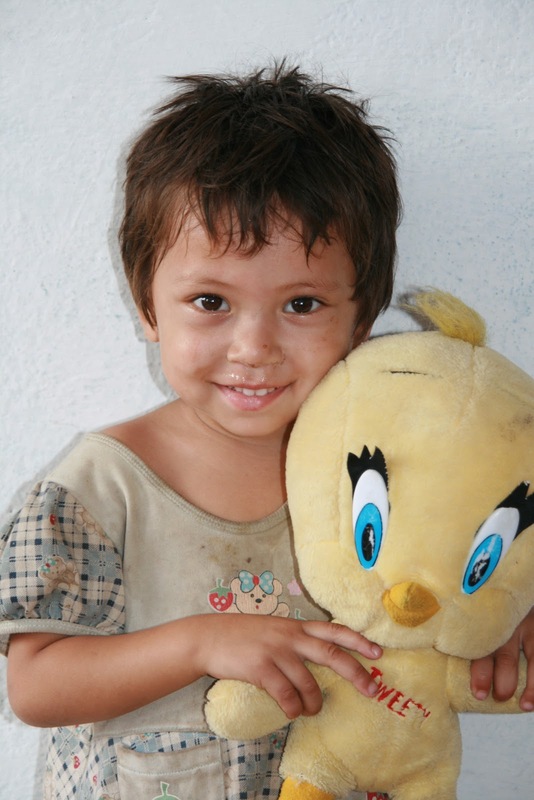 Anita is fascniated by the doctors and nurses and so she has decided that she too wants to grow up and be a nurse. 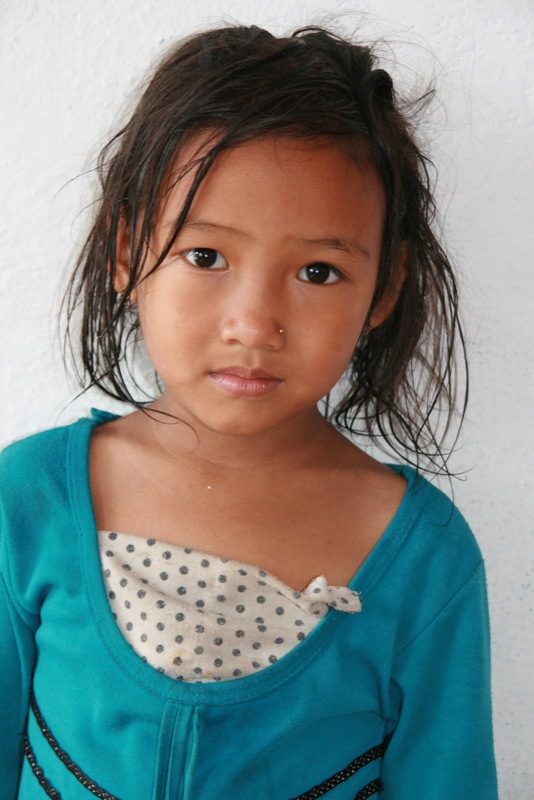 Sharmila B.K (F - 4 yrs) Born into acute poverty, Sharmila doesn't know any other life. To add to their woes, Sharmila's father (who doesnt live with them) takes away whatever little money the mother makes. Life is difficult for the mother daughter duo. Yet she is happy when she is in school playing or studying. Pinky (F - 11 yrs), Panas (M - 4 yrs) Their mother works as a conductor to support her family while the father is an alcoholic. Little Panas wants to be in the police force. Pinky loves to draw n dance and dreams of being a pilot later in life. 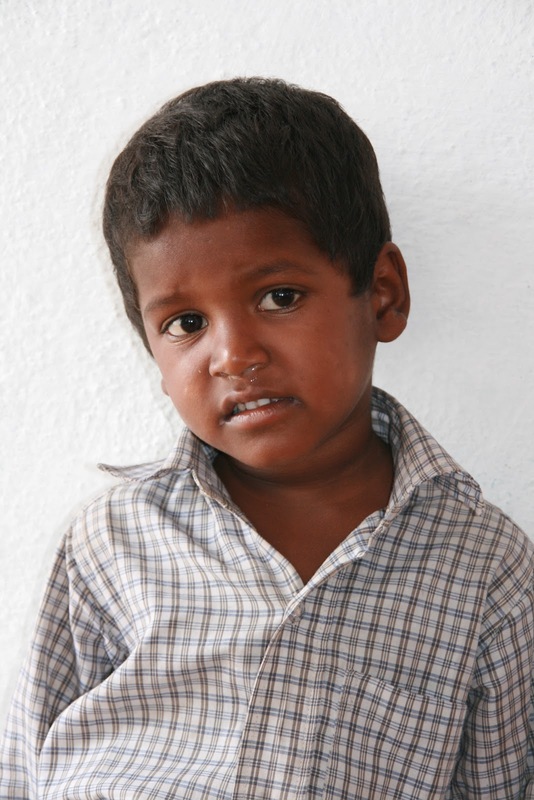 Niraj (M - 8 yrs), Nirmala (F - 5 yrs)While the parents were struggling with life, a miracle happened. Niraj was chosen to act in a foreign film and money was good. So started his long shooting schedules in the scorching sun. Niraj is way behind in academics and obviously dreams of being an actor one day. Nirmala is just happy playing around with the toys in school. 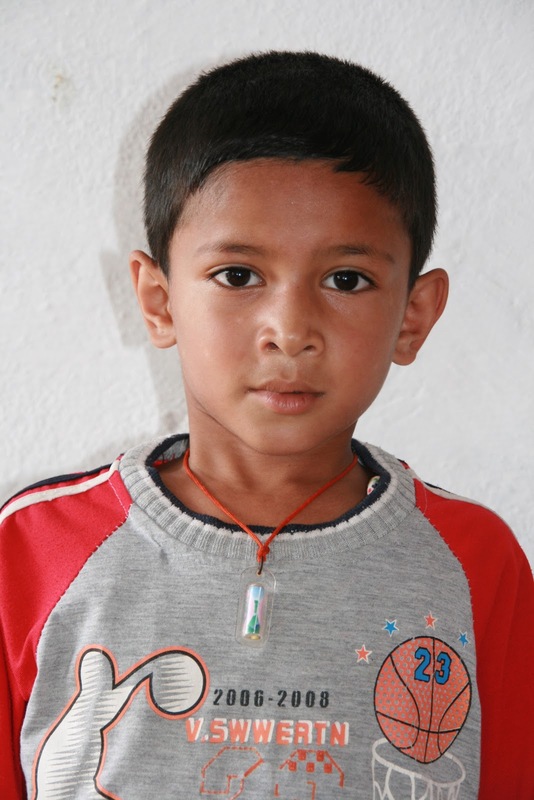 Navraj Shrestha (M - 7 yrs) The task of earning a living for himself came very early on his tiny shoulders. This little soul clearly understands the meaning of help and thats what he loves doing the most. 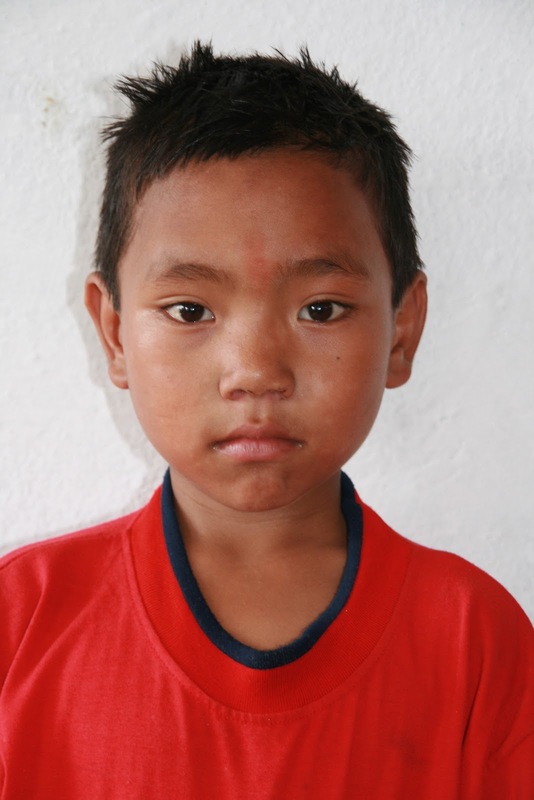 Manoj Thapa (M - 6 yrs) An unskilled labourer, Manoj’s mother is not able to provide even two square meals a day for the family. 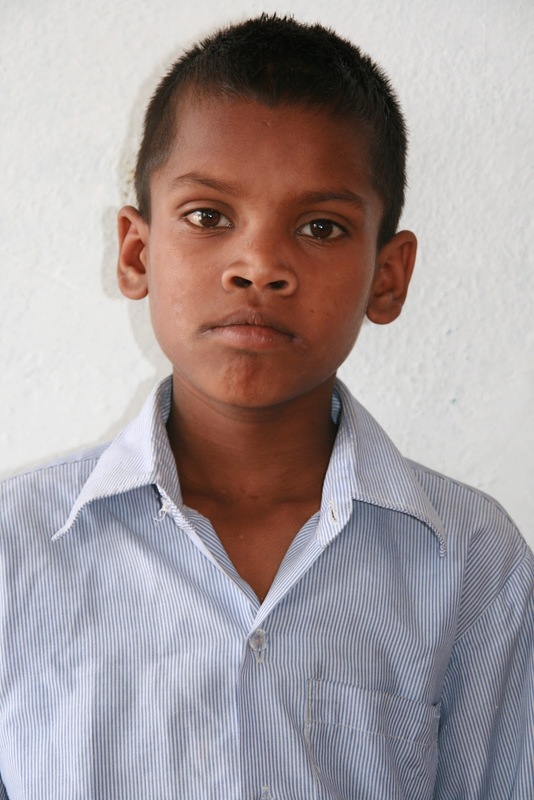 Manoj who is too young to understand the value of education is labelled as the "tantrum prince" of the school. Puja K. C (F - 10 yrs) With the father spending all his earnings on alcohol there isn’t much left for the family. Never the less that doesn’t stop her from being an avid talker and an expert at the subjects she is studying at school. Raj Shrestha (M - 10 yrs) Raj is a happy boy, loves dancing and reading.His only reservation is smiling while being photographed. He is quite fascinated by the flying planes. 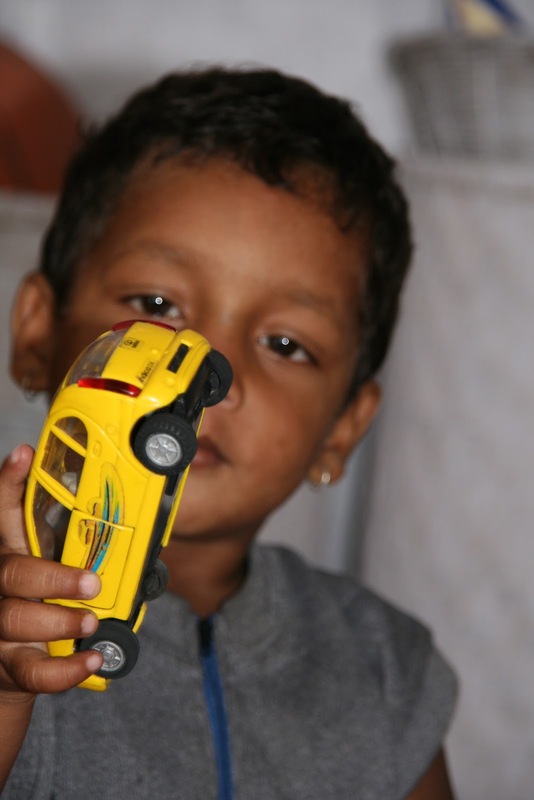 Monica (F - 9 yrs), Manish (M - 8 yrs)With the hope of providing the family a better standard of living their father has been working abroad, but to keep the survival going until their father returns their mother works as a taxi driver. Manish wants to be a pilot when he grows up and Monica wants to be professional dancers. Namrata Rajbanshi (F - 14 yrs), Yogesh Rajbanshi (M - 8 yrs)Their father works as a tailor while their mother works at a school canteen. 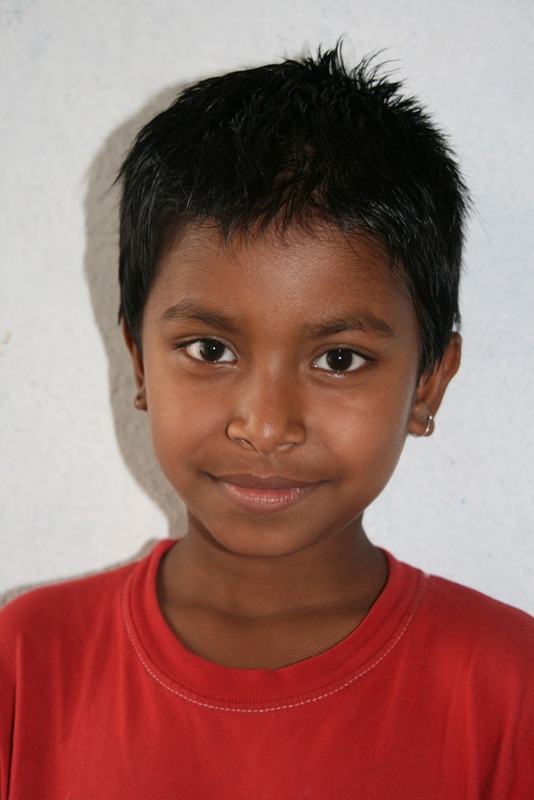 Namrata was very shy when she first came to koseli and hardly interacted with any of the children here. She has now started opening up and has made a few friends. Yogesh even though average in his academic performance has a skill with numbers. The siblings want to be singers when they grow up. Chandrakala Mahara (F - 13 yrs) Chandrakala is extremely shy and came to our notice first when she performed academically very well soon after joining school. Chandrakala continues to excel in her studies. Manish Rai (M - 10 yrs) Manish’s father is a porter at the airport. What is most attractive about Manish is his sense of humor. A smile is set on his face permanently. He loves dancing to the tunes of Justin Bieber. 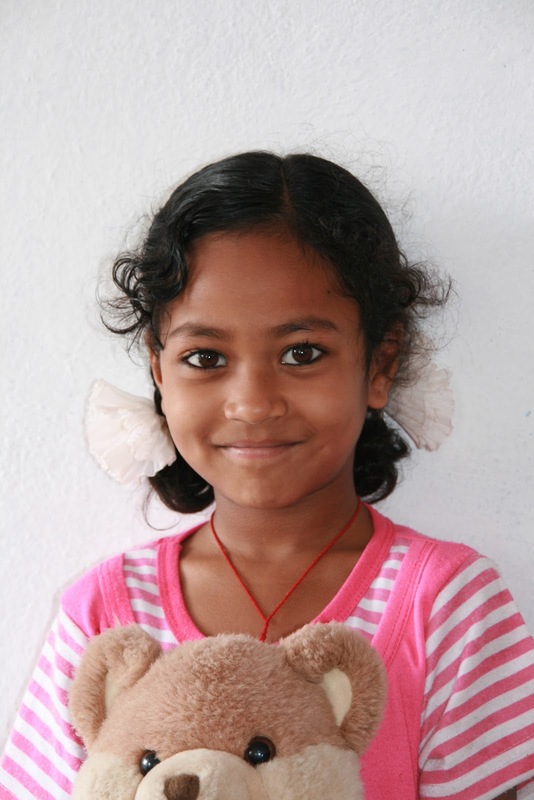 Sneha K.C (F - 6 yrs) Sneha loves to play with soft toys and dolls. She is a happy child and like most kids at school loves being photographed.She lives in abject poverty that stop her from dreaming. Each day she has a new dream. 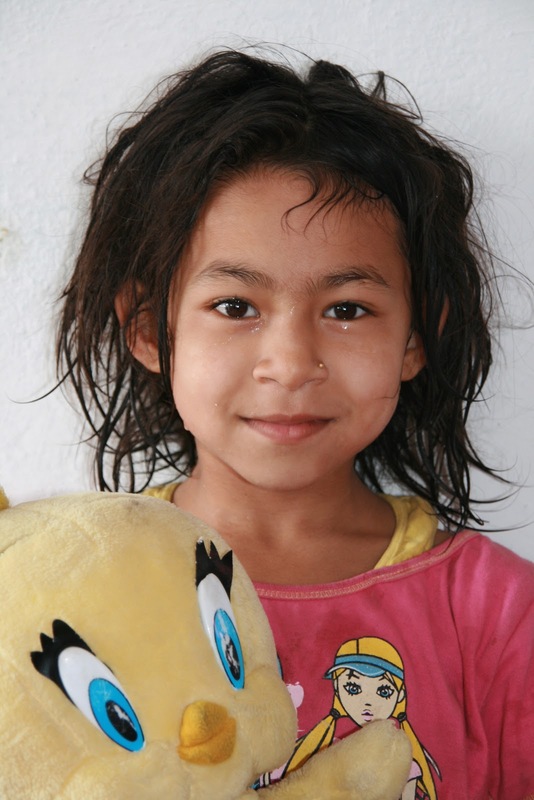 Nisha B.K (F - 4 yrs) Nisha and her mother are trying to survive in the slum by doing odd jobs in the neighbourhood. Even though she is a very shy child, her smile is vibrant when she is colouring or and playing in the school. 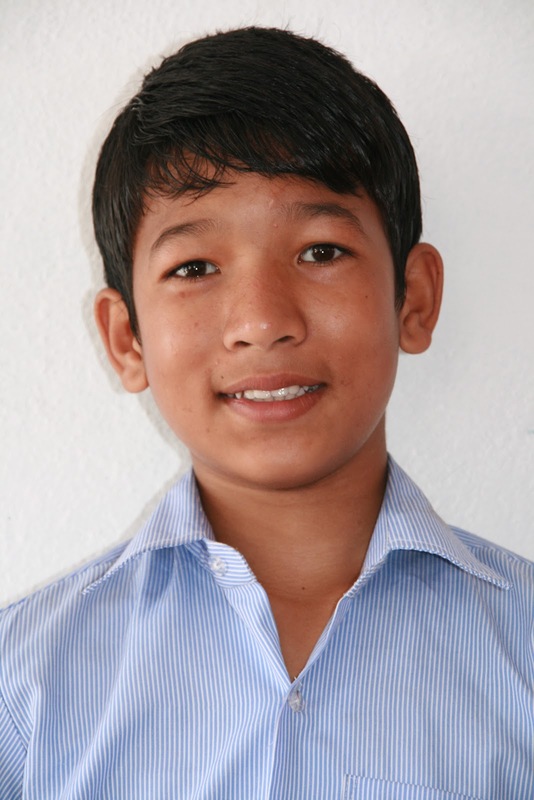 Anand Thapa (M - 10 yrs) His father works as a painter. So Anand wants to grow up and do something related in the field of art. 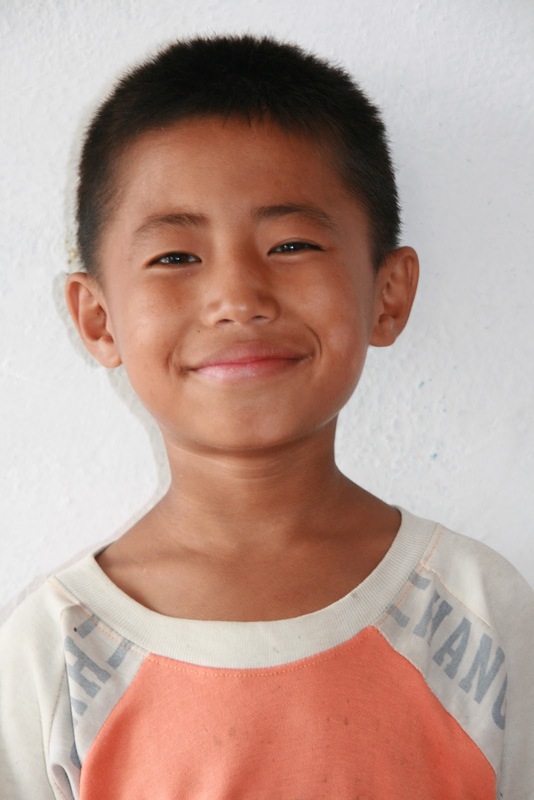 He is a cheerful boy and given a chance he likes to stay in the school itself. Deepa Pariyar (F - 8 yrs) Abandoned by the husband, Deepa's distraught mother returned to the village leaving her in the custody of her grandparents. Deepa has no memories of her father and is now supported by an old grandmother who works as a domestic help. She is always smiling. 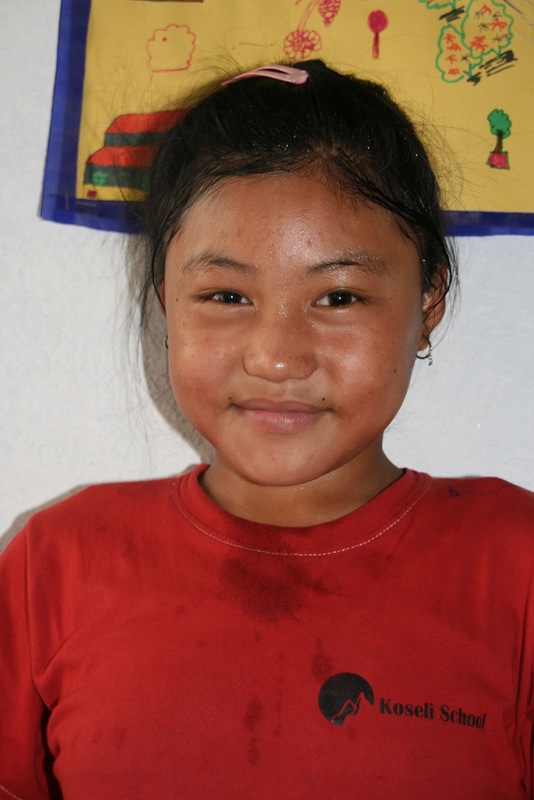 Reetika Tamang (F - 8 yrs) Reetika wants to be a teacher when she grows up. So she spends a lot of her time in reading. She is a good dancer and can be seen dancing in school programs too. Sajan Giri (M - 7 yrs) Sajan is a dreamer but what fascinates him the most is the uniform of a police man and power it wields. He too wants be a Police man when he grows up. 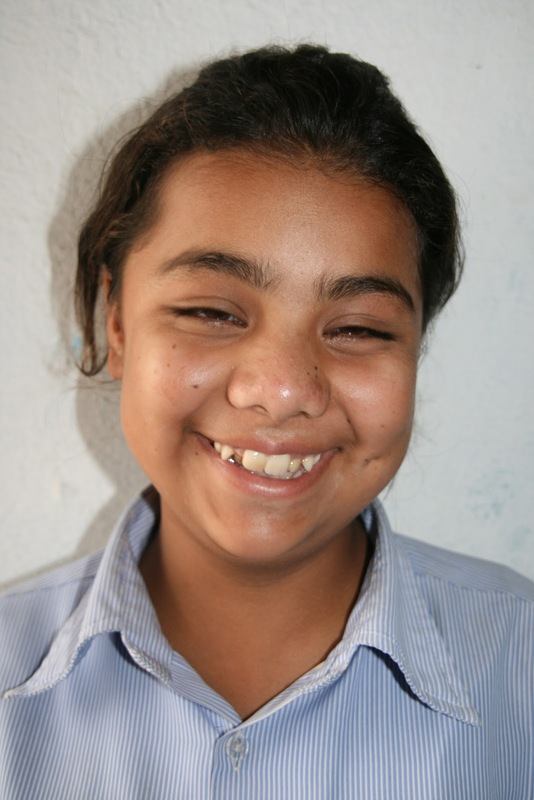 Manju Jirel (F - 13 yrs) Her father is an unskilled laborer who works at the construction sites. He carries bricks and their mother washes dishes in the neighbourhood. Manju wants to be a photographer when she grows up. Ram Tamang (M - 8 yrs), Ganga Tamang (F - 9 yrs), Santesh Tamang (M - 4 yrs) Their mother is trying to support the kids by doing odd jobs. The family is heart wrenchingly poor and the children were extremely malnourished when they first joined school. 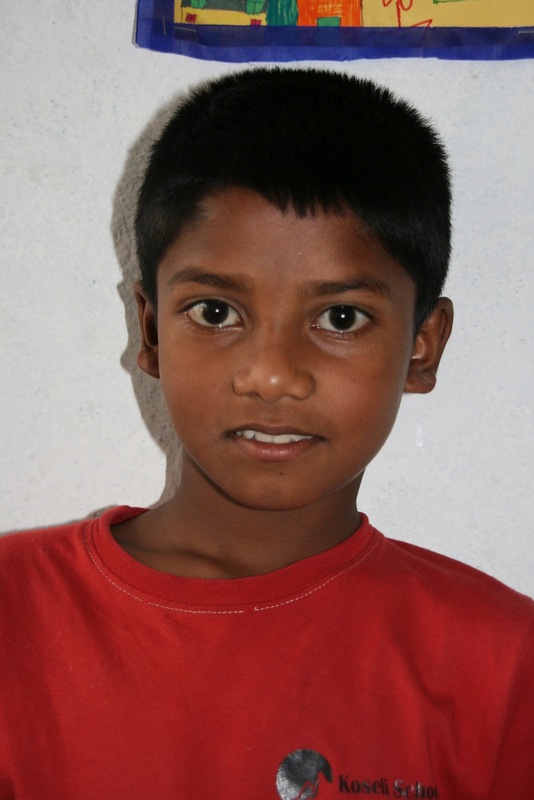 Ram is the dancing star of the school, while Ganga likes to sing and Santesh likes to study. Neha (F - 12 yrs), Aman (M - 11 yrs), Bicky (M - 9 yrs) They are a super active lot. Aman wants to be a dramatist, Neha a dancer when they grow up. As of now Neha loves to read and Aman is quite a footballer. Upendra (M - 14 yrs), Chandeshwor (M - 12 yrs), Bindeshwor (M - 10 yrs), Bhola (M - 5 yrs) Left to fend for themselves, they are one of the poorest inhabitants of the jadibuti slum. The kids repeatedly suffer from scabies, typhoid and other diseases because of lack of hygiene in their environment. Upendra who was an expert gambler when he joined school hasn’t been spotted doing it for a while now. He loves playing football instead. All of them dream to be teachers when they grow up. Sushmita (F - 14 yrs), Sunita (F - 11 yrs), Anita (F - 9 yrs), Sushma (F- 4 yrs) All the four sisters want be singers and dancers when they grow up, however what they do not know is that all four sisters have a natural aptitude for academics. Amar Lama (M - 8 yrs) His father is a shoe salesman while his mother-knits caps. 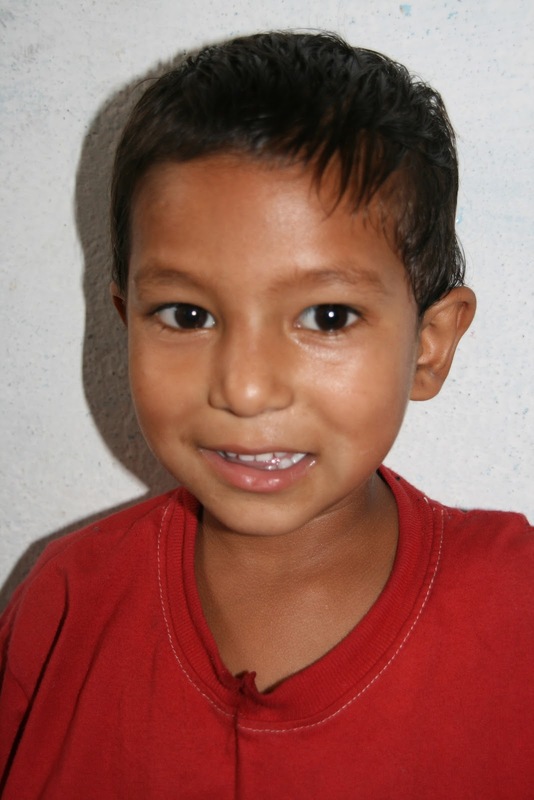 With both parents intact and working (even though the income is very low) has made Amar a very cheerful child and wants to grow up to be a singer. Stealing is a way of life for some kids. Amar, too stole a teacher's salary once. He bought a video game and a mobile phone with that, which he lost soon. The rest of the money he hid under a basket on the street side which obviously when we went was not to be found. We made Amar promise that he will not repeat this act again and reimbursed the teacher with the lost amount. Had we scolded Amar then, he would have left the school and become a full time little thief by now. 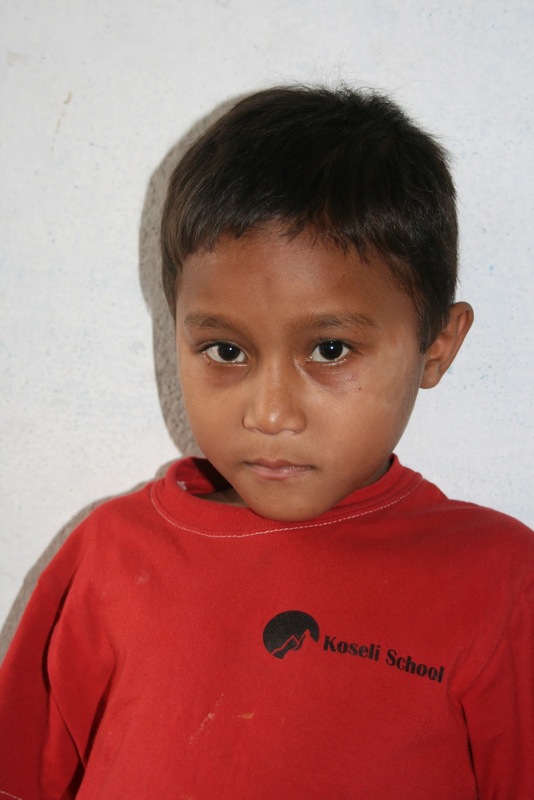 Sudip Karki (M - 7 yrs) Sudip’s unskilled father’s minimal income is not enough to support the family. 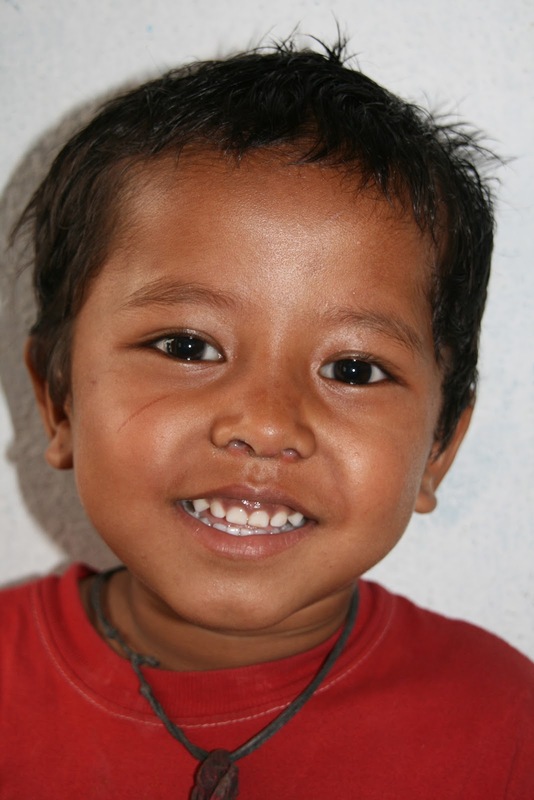 Sudip is very good at studies and loves playing in the school. Suraj (M - 10 yrs) Suraj, a name he got at school, was picked up by the school authorities when he was being beaten up while begging along with his granny on the street. He used to sniff dendrite regularly. But his passion for studies has proven that he just needed somebody to hold his hand. Now he doesn't waste time talking to anyone during his class hours, probably he is making up for all the lost years. He studies in Class Nursery. 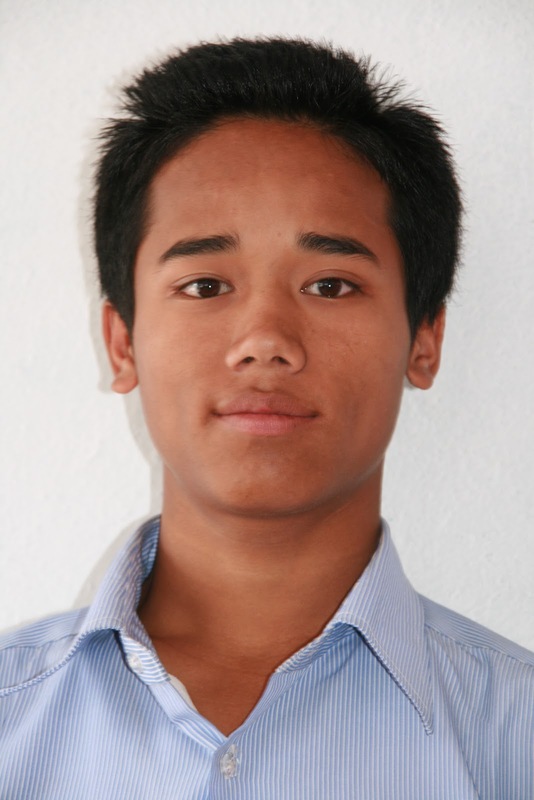 Chandra Tamang (M - 14 yrs) Chandra lost his mother as soon as he was born. 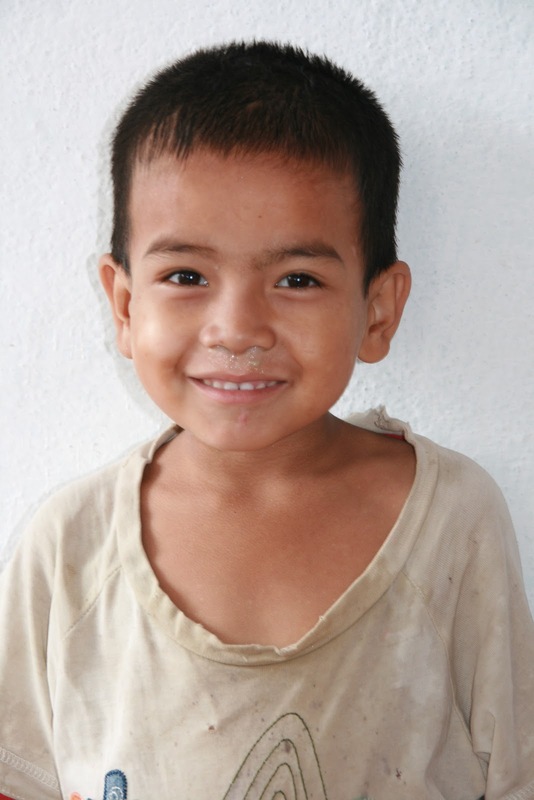 He was considered a cursed child and so was abandoned by his father. Chandra lived the first 8 years of his life weaving carpets in a factory and then washing dishes in a hotel, obviously there wasn't much time to study. He is an excellent singer. Now he attends the music school along with training to be a professional chef. Sharmila (F - 7 yrs), Shailesh (M - 5 yrs) Subject to abject poverty, the children were severely malnourished when they first came to school. They live in a shack which has flex for a roof. Sharmila is quiet child while Shailesh is a naughty brat. Recently, when he tripped in the dark and broke his leg, his mother had no money to get it plastered. The boy remained like that till the school authorities took him to the hospital. Renuka (F - 8 yrs), Mashika (F - 3 yrs) and Rachana (F - 7 yrs) Yet another story of the girl child. Their father left when only daughters were born in the family. The girls suffered from intestinal ulcers when they first came. Even though the ulcers were bleeding, the girls never complained of any pain. They are all fine now and are like any other kids in the school. Mashika started coming to school when she was only two years old as her mother didn't have a place to leave her when she went to work and soon she too became part of the Koseli family. Good work guys.. keep it up..
i want to do volunteering in this organisation so that I can extend my hands towards yours to nurture this organisation.